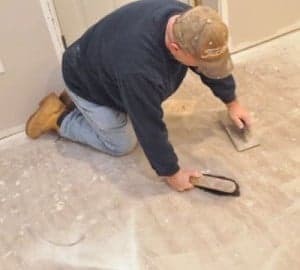 Scrape off any debris or mortar splashes from the sub-floor. 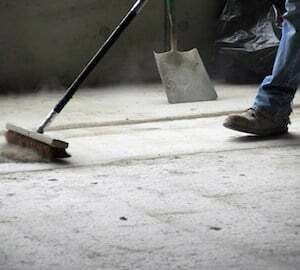 Brush the sub-floor, leaving a flat clean surface, on which to place the insulation. Where possible, place the insulation in two layers. 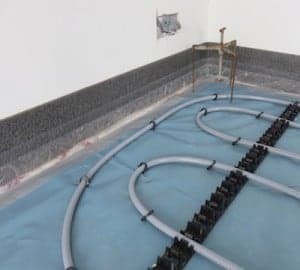 Place the first layer between any service pipes on the sub-floor and use dried sand to fill the voids around the pipes, ensuring the insulation is laid level and flat. Then place the second layer, staggering the joints, ensuring it remains flat, with no rocking. Where depth does not allow for two layers, use just one layer and also fill the void with dried sand. 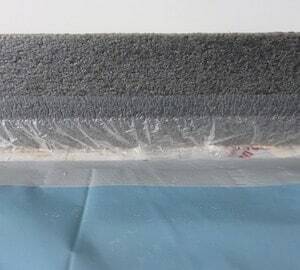 Rather than covering the sand with a second layer of insulation, ensure that the sand is level with the top of the insulation boards and then use a polythene strip to cover the the sand, using duck tape to secure it. Install the edging strip around all internal and external walls, taking care to ensure it is neatly placed into all corners at 90 degree angles. Tack the edging strip to the walls using a staple gun, nails, screws or duck tape (depending on the substrate you are fixing to) as required to hold it in position. 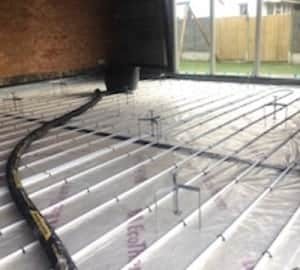 Place a 500 gauge polythene membrane over the top of the insulation ensuring it is pulled tight with no creases and lap joints at a minimum of 100mm. Tape all joints and then tape the 500 gauge membrane to the plastic skirt of the edging strip. 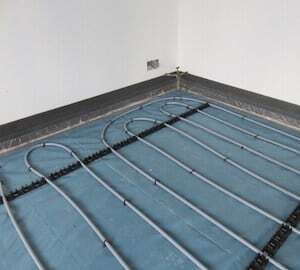 Install the underfloor heating pipes, ensuring they are appropriately fixed at every 400mm along the length of the pipes, using clips/staples more frequently on bends. 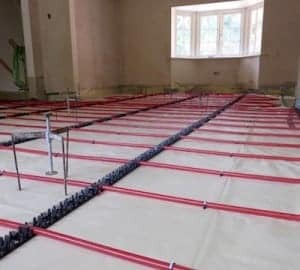 Fill the underfloor heating pipes with water and pressurise the system to between 5-10 bar, 2-3 days prior to installation, then check for any signs of leaking. Filled pipes with help to keep the pipes grounded during installation. Install expansion joints across doorways and where the aspect ratio is greater than 1:6. Cut away notches on the underside of the joints to allow it to sit level over the UFH pipes. 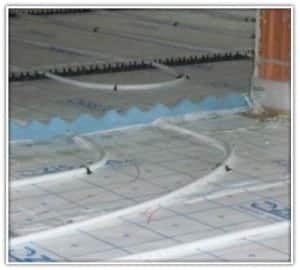 Create V notches on the top of the joint, this allows the screed to flow through the joint keeping the same level either side. Brush or vacuum out all debris from the surface of the plastic. 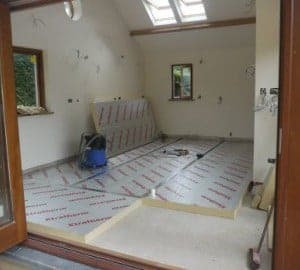 Any material left will float once the screed is poured and this will result in blemishes on the surface once the screed has hardened. 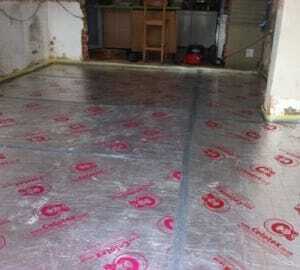 Inspect the whole tanking system for any tears or untaped joints, make good ready for screed to be poured. Complete a final depth check to ensure there is at least 25mm cover over all pipes, paying particular attention to the corners of rooms.